Looking for the perfect wedding venue? These historic venue options are perfect for couples who love the a bit of charm added to their special day. 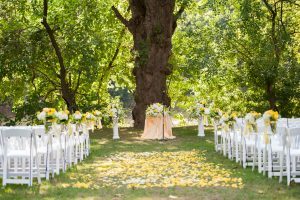 Although settling on a venue is one of the biggest wedding planning hurdles, there seems to be an option for everyone. 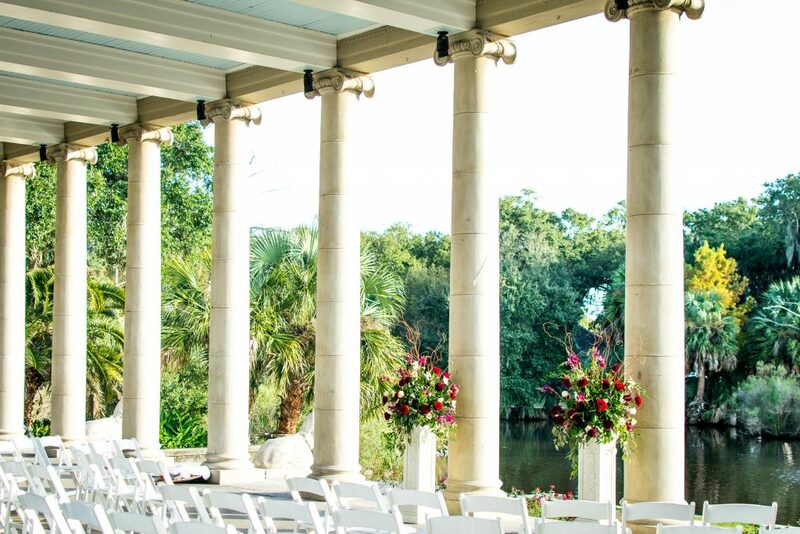 If you’re looking for a romantic spot that requires minimal decorating, then historic wedding venues are for you. Check out these romantic historic weddings from our WeddingMix couples for some serious wedding inspiration. The breathtaking grounds, spiraling staircases, and old timey atmosphere is enough to make us fall in love, but take a look for yourself. Cami and Johnny had a one of a kind wedding ceremony at Roswell Historic Cottage in Roswell, Georgia. 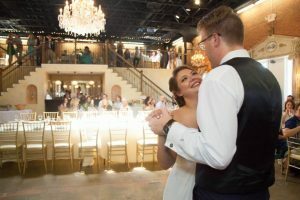 Formerly known as The Old Library, the venue’s brick walls and exposed beams leave a classic feel with rustic twist. The openness of the space lets in plenty of natural light on a bright day. The couple kept the decorating to a minimum because the venue was already gorgeous on its own! See how they used the space in their WeddingMix highlight below! This highlight video was filmed with love by the couple’s loved ones and edited by WeddingMix. Read what or brides had to say on The Knot! 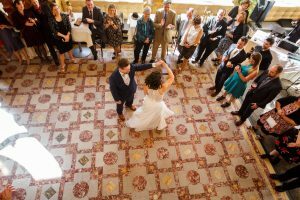 The bride and groom tied the knot at The Dorrance in downtown Providence, Rhode Island. The former 19th century bank is now a popular romantic spot for a weekend date night. The Dorrance is known for both the delicious food and breathtaking interior. The warm accent colors paired with the giant windows, marble floors, and intricate designs make this space gorgeously unique. Check our the space in the couple’s WeddingMix highlight below. We love the clear view of the ballroom during Eric and Anne’s first dance! This highlight video was created with the help of Eric and Anne’s loved ones using WeddingMix! Beth and Jon got married at Castle Farms in Charlevoix, Michigan. 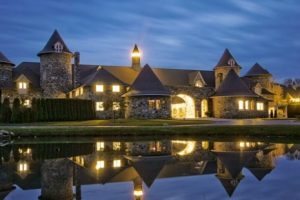 The charming venue used to be a model farm in the 1900s, but now the restored castle is the ideal space for weddings. The castle offers whimsical gardens, beautiful fountains, and generous reception space for any wedding day. The bride and groom married right outside the castle and took fabulous pictures on the grounds. Of course, our description doesn’t do the venue justice! Check out the couple’s WeddingMix highlight video to see their wedding ceremony and pictures. Christina and Randeep had their wedding at Bristow Manor Golf Club in Bristow, VA. 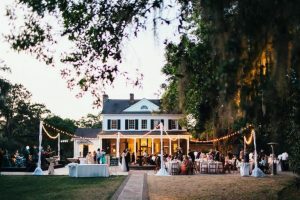 This 19th century southern manor combines country charm with golf to make the ultimate wedding venue. 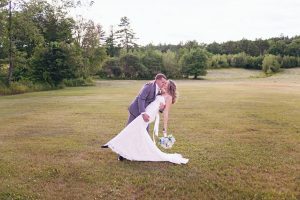 The couple took advantage of the nice weather and married outdoors before partying in the reception space. You can tell everyone had a fantastic time from Christina and Randeep’s highlight video. Check out their video to see the gorgeous simplicity of the ballroom! These newlyweds shared their special day at the beautiful Riverdale Manor in Central Pennsylvania. 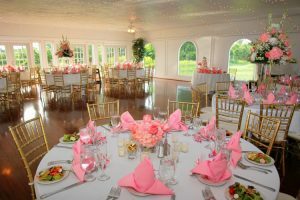 The restored 1850s farmhouse provides plenty of space for events, offering their pavilion, deck, and gorgeous grounds. The couple married in the summer, but this venue is available all year long. The bride and groom really used the lush greenery to their advantage during their ceremony. See it all in their wedding video below! Rachel and her groom said “I do” at the Legare Waring House in Charleston, South Carolina. Rachel describes the historic estate as secluded in beauty. The splendid grounds are covered with oak trees, greenery, charming patios, and a bubbling fountain. We love the simplistic charm of this venue. Check it out in the couple’s wedding video and let us know what you think! Loved this WeddingMix highlight? Here’s what Rachel had to say! 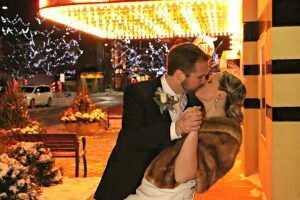 Showcase your wedding at The Normal Theater in Illinois! Bride Catherine said she always wanted to get married here and we can see why. The newlyweds were the stars of the evening as they married onstage in front of their loved ones. The gorgeous decor and vintage red seats offered a classic feel that made their guests feel as if they were watching the ultimate love story. Take a look at the couple’s WeddingMix highlight video below to see the show for yourself! This highlight video was filmed with love by the couple’s loved ones and edited by WeddingMix. These two married at the Historical Landmark Center in St. Paul, Minnesota. The marble and mahogany covered venue used to be a court house and post office. Now the landmark is admired for the arched windows and intricate staircases. You can see the beautiful ceilings and decor in their WeddingMix highlight video below! Jacquelin and Corey shared their special reception at the historic Eglinton Grand in Toronto. The sophisticated theatre serves as a romantic space for any event. The bride and groom chose this venue not only for the beautiful balconies and marble, but also because of the location! 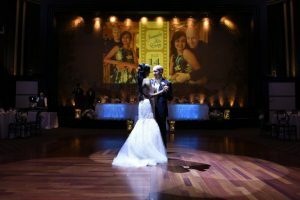 The spacious ballroom was perfect for the bride and groom’s first dance! What do you think? 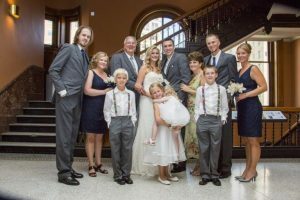 This lovely wedding highlight was created with the help from the newlywed’s loved ones with WeddingMix editing and cameras. What do you think about these historic venues? Let us know below!